The adenoids are a mass of tissue at the back of the nose. We are born with this in place and it is a normal structure in a comparatively small space. The adenoid tissue contributes to part of our immune system. Obstructive adenoid tissue can sometimes contribute to upper airway symptoms in the form of persistent nasal obstruction despite the use of topical nasal steroid sprays, loud snoring and possible clinical apnoeas. Children are most commonly affected but as they grow, the symptoms may subside. Some adults may also have these symptoms in the presence of persistent adenoid tissue. To manage these symptoms the adenoids may need to be removed. Our immune system is made up of other components that will maintain our immunity. The presence of the adenoid tissue as the probable cause of these symptoms is confirmed with a test performed during the office consultation. 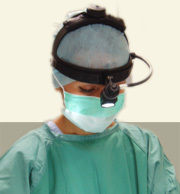 A fibreoptic nasendoscope is used to examine the nasal cavities and the back of the nose. This can be done in children as well as in adults and facilitates an instant diagnosis. This allows management to be discussed during the same visit without the need for X-rays. It also allows the parents (in the case of children) to visualise the source of the problem. 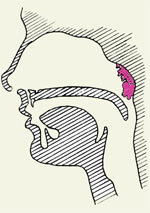 An adenoidectomy is the operation to remove the adenoid tissue. It is indicated in the presence of persistent nasal obstruction particularly in the context of sleep fragmentation and loud snoring with an obstructive sleep pattern. It may also be indicated in children with recurrent middle ear infections. It is done as a day surgery procedure and a general anaesthetic is required. The adenoid tissue is removed through the mouth and no external incisions are made. The procedure, risks and benefits will be discussed in full during your consultation with Dr Para.